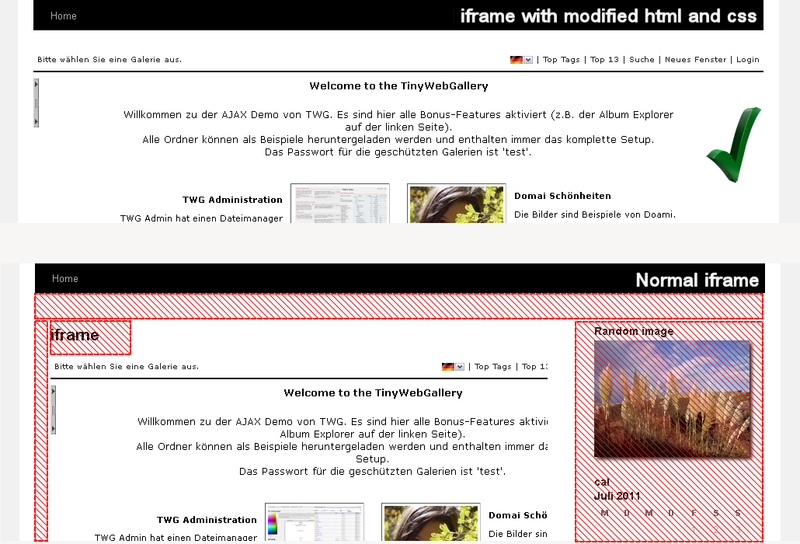 Comparison between normal iframe and advanced iframe wrapper. The red areas are modified by the advanced iframe to display the content better. 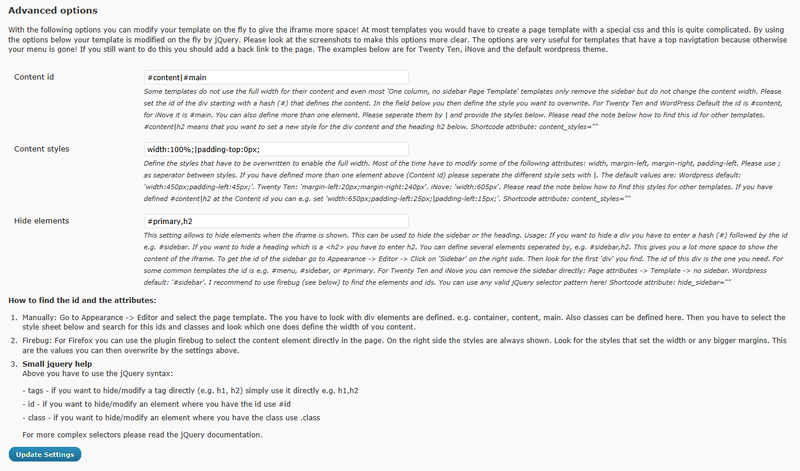 This image shows the difference with an url forward parameter. 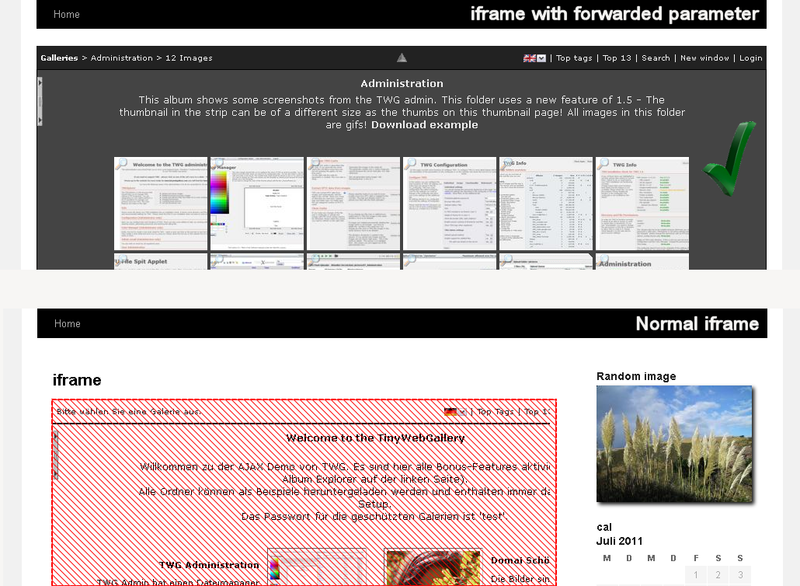 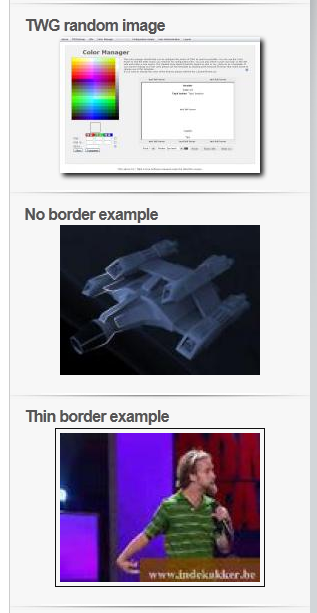 In the advanced iframe a sub album is shown while the normal iframe still shows the entry screen. Shows 3 different styles of the random image with no border, drop shadow and a simple border. 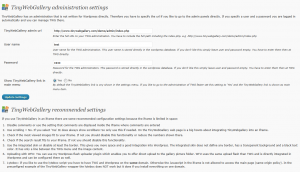 The basic admin screen to enable standard settings. 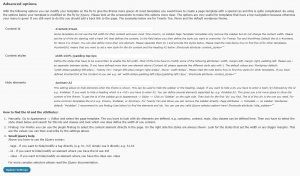 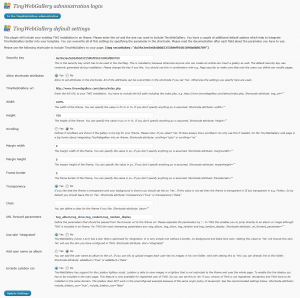 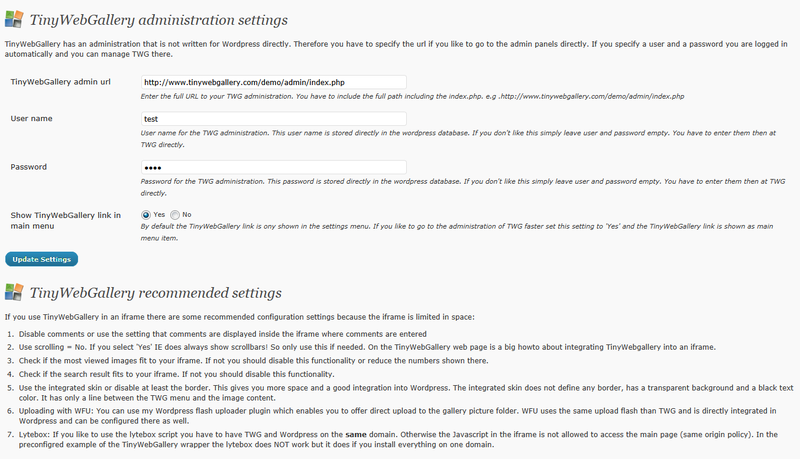 The advanced admin screen to enable advanced settings like html and css changes. 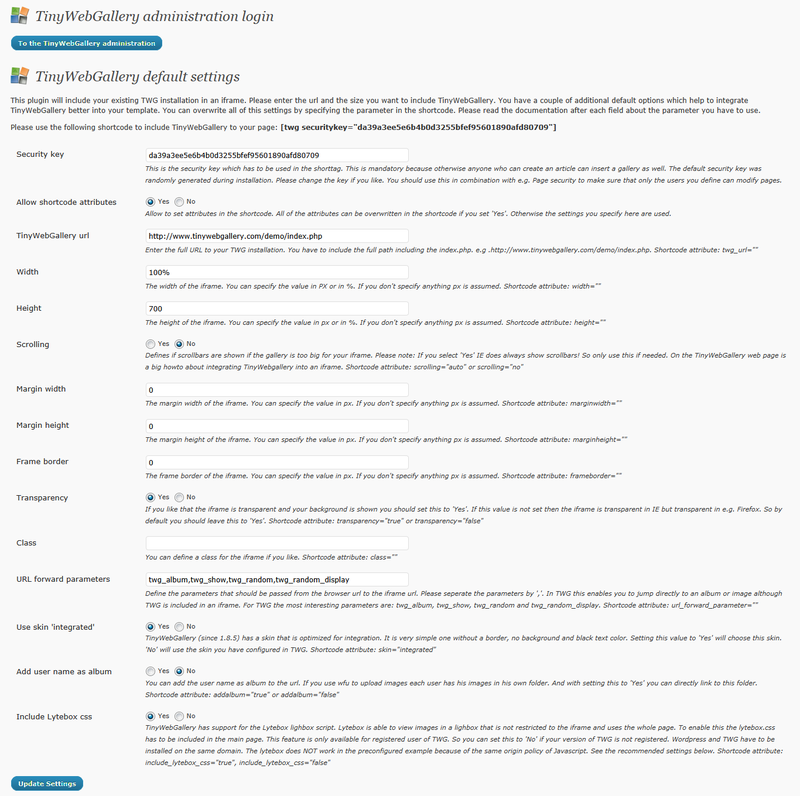 The section to enter the TWG admin details.